Walking daily and being out in the sun again made my age spots more visible. I don't wear makeup to conceal them, so a good cream with brightening effects is a must for me. Today's discussion is about Ageless Derma Anti-Aging Intensive Skin Brightener. Whether you are concerned by freckles, age spots, brown spots, liver spot or changes in skin pigmentation, Ageless Derma Anti-Aging Intensive Skin Brightener has been specially formulated with an all-new combination of natural and bio engineered ingredients to lighten the skin without any harmful side effects. Ageless Derma Anti-Aging Intensive Skin Brightener contains 7 revolutionary ingredients to provide fast, gentle and effective skin lightening for your skin. 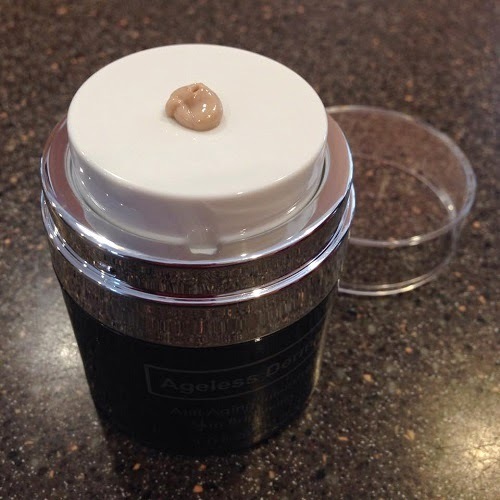 Ageless Derma uses unique airless pump jar and tubes to keep the products fresh and potent and keep 100% product effectiveness . 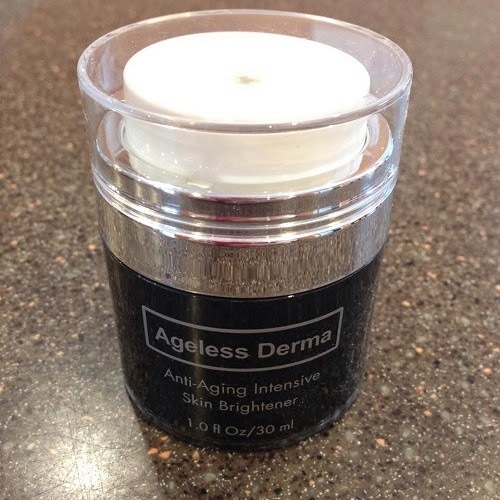 Ageless Derma Anti-Aging Intensive Skin Brightener never used Parabens or harsh chemical in its products. 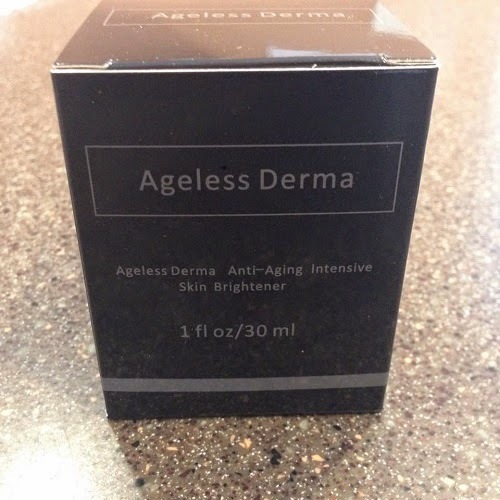 Ageless Derma Anti-Aging Intensive Skin Brightener was formulated in USA and never tested on Animals Ageless Derma Anti-Aging Intensive Skin Brightener was featured at Emmy Award show in Los Angeles. See images of Celebrity from General Hospital, The Young and the Restless and The bold and the Beautiful with Ageless Derma products at our facebook page. The cream is unscented and it has a nice consistency. It's easy to apply on the skin and I really like that it does not leave a greasy look. It comes with a nice pump for easy dispensing. This is a plus because I like the fact that I don't have to dip my fingers in the cream every time I use it. Not that my hands are not clean, but I'm sure you know what I mean. One pump is all you need to cover the face. Once you've applied it, you will feel that your skin is getting tight. A sign that the cream is working. I've been using it for more than a week and I noticed that my sun spots are a bit brighter and my pores are getting smaller. My skin feels soft and silky smooth, too. Overall, I had a great experience with the cream. If you are looking for a cream to combat the signs of aging and moisturize the skin, I recommend this product. You can purchase the Ageless Derma Anti-Aging Intensive Skin Brightener through the Ageless Derma website and on Amazon. 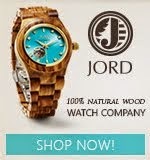 It's fairly priced at $49.00. I am also giving away one bottle of this amazing moisturizer to one lucky reader. Disclaimer: I have received one or more of the products mentioned above in exchange for my honest review. I was not paid for my thoughts and opinions. What was written above are 100 percent my own and was in no way influenced by the brand or anyone.